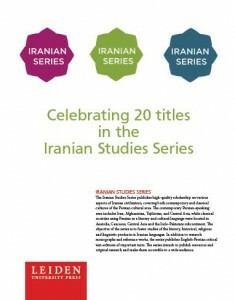 This year we celebrate the publication of twenty books in the Iranian Studies Series. Since its start high-quality scholarship on various aspects of Iranian civilization, covering both contemporary and classical cultures of the Persian cultural area, has been published in the Iranian Studies Series. Click here to download a flyer with all twenty titles.